An e-mail was just sent and she has 48 hours to respond! Winner was chosen by random.org. Step2 Easel for Two from AllChildrensFurniture.com \! This double-sided easel from Step2 is the perfect solution for parents with two kids. On one side is a metal dry-erase board equipped with a 74-piece magnetic foam letter and number set and the other side is a classic chalk board. With a large storage tray, paper clip to hold projects in place and easy flat folding for storage, this smartly designed Easel For Two is sure to be a hit with you and your youngsters. We have two of these Easels from Step2 for our youngest and they LOVE them! Follow my blog and visit AllChildrensFurniture.com and tell me something else you would like to have. *Disclaimer: I did not receive any compensation for this post. AllChildren'sFurniture.com is part of the network of CSN Stores. I follow & my daughter would love the Razor Pocket Mod Sweet Pea Scooter! I like the Thames & Kosmos Archaeology Kit: Egyptian Pyramid Science Kit. I follow your blog. I'd love the Kidcraft Savannah dollhouse. I am a follower of your blog and I would love to have the Badger Basket Youth Desk with Optional Chair in Cherry for my older daughter..Would be perfect for her room.. I love the Dalyn Fun Time Princess Castle Girls Rug. follow. I like the Guidecraft Creation Station Art Center. I'm a follower and I like the KidKraft Pastel Cottage Kitchen. I follow you on TWitter! (@channynn). I like the KidKraft Big Top Sandbox, and I'm a follower. I follow you, I would love the Alligator Slatted Twin Over Full Bunk Bedroom Set - Slatted Bedroom Series for my sons! I entered your uprint giveaway. I love the dollhouse. Thanks for the chance. I like the kidcraft savannah dollhouse. Thanks for the chance. Following! And my son would love the Smart Gear Police Wooden Training Bike too! The Guidecraft Paper Center Paper Roller - G97047 looks great. Follower. I also like the Little Tikes, Tikes Town Playhouse. Thanks! I am afollower and I like the Radio Flyer Little Red Scooter. 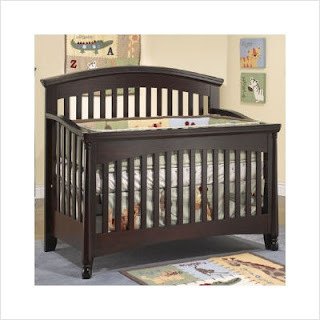 I do follow (clynsg), and would also like to have the Madison Sleigh Bed for my grandson, who will be out of his crib before much longer.